Please select an option Secret meadow blue Secret meadow grey Secret meadow olive brown Please select a color. 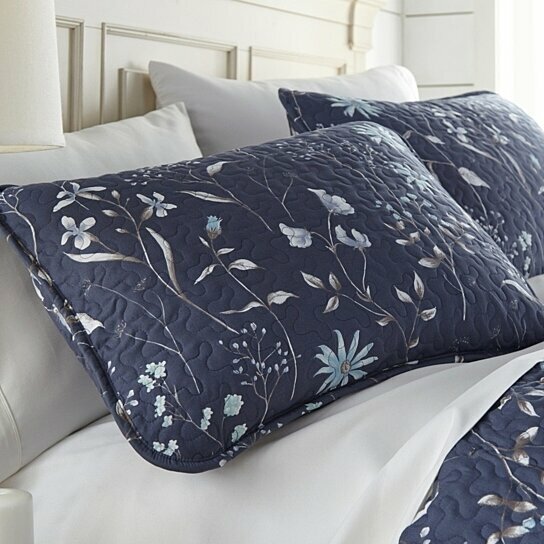 Create a restful retreat and a relaxing vibe with our beautiful Secret Meadow Quilt and Sham Set. Soft and lightweight this quilt is perfect for all seasons. Reversible in three gorgeous colors this quilt is versatile. The charming design and elegant embroidery will give your space an upscale boutique look and feel you will be proud of.